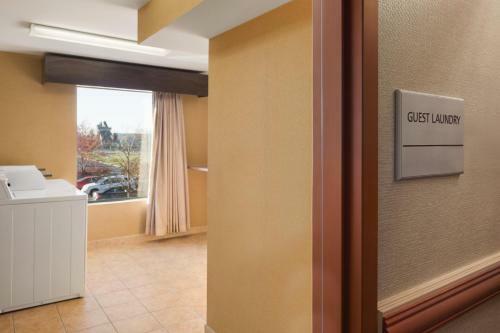 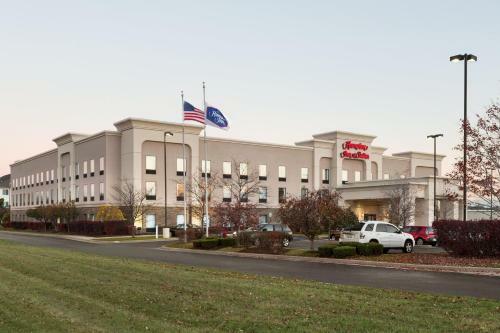 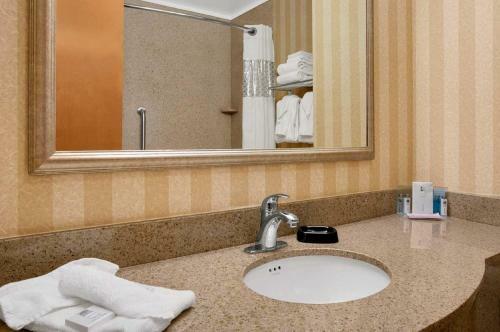 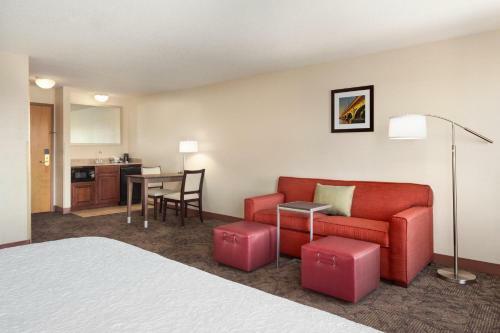 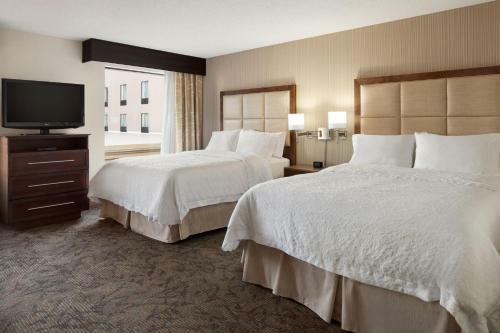 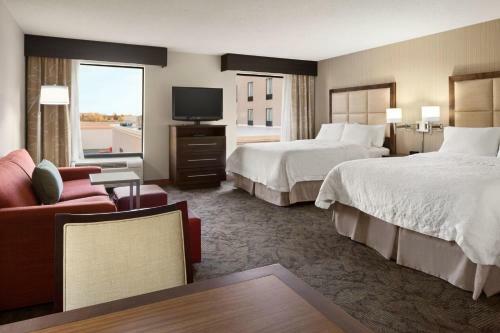 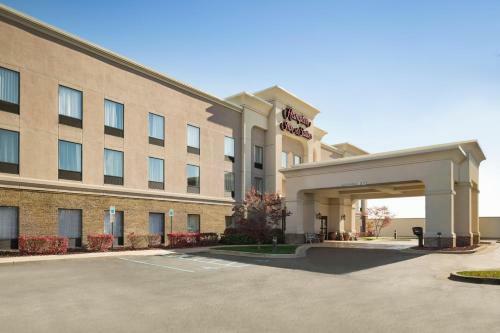 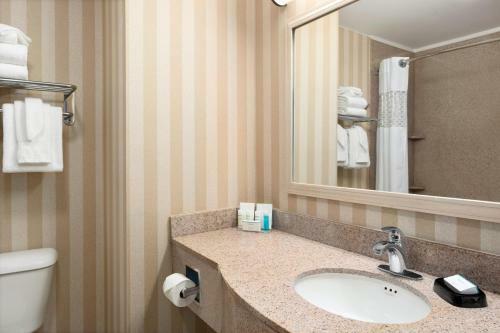 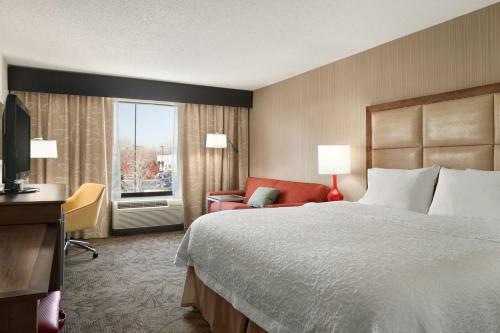 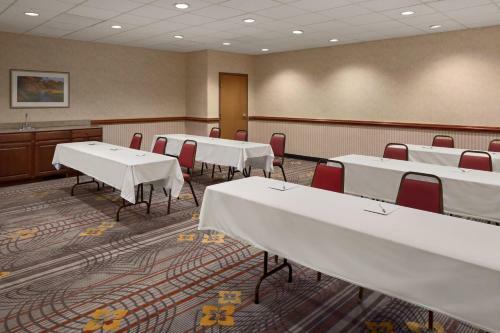 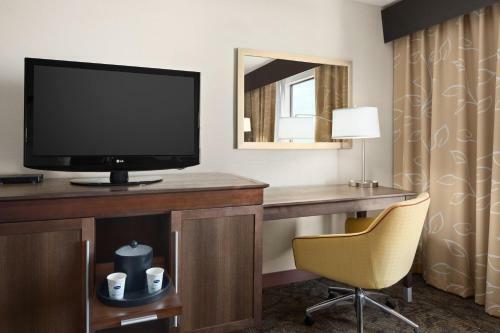 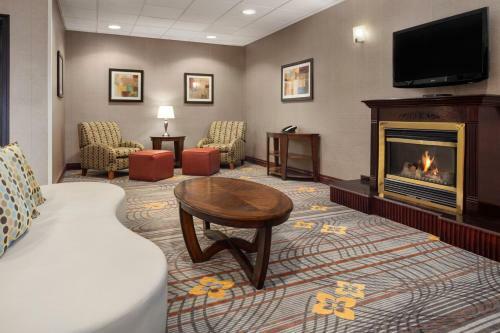 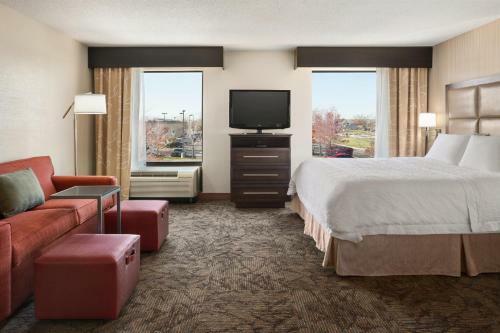 Set in the suburb of Sterling Heights, a short drive from Detroit city centre, this hotel features spacious guestrooms featuring signature Cloud Nine beds and easy access to area attractions. 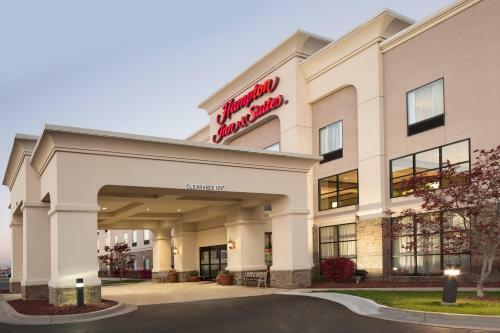 The Hampton Inn and Suites Detroit Sterling Heights is located minutes from the numerous shops and restaurants at Lakeside Mall and the activities at Metro Beach. 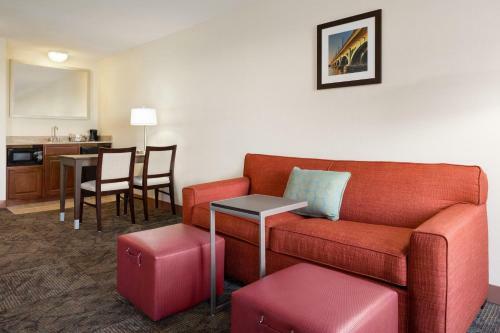 The Detroit Zoo, Comerica Park and several casinos are also easily accessible. 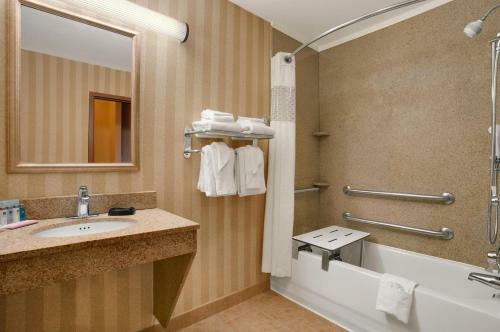 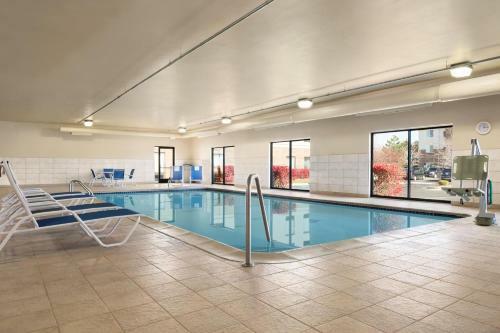 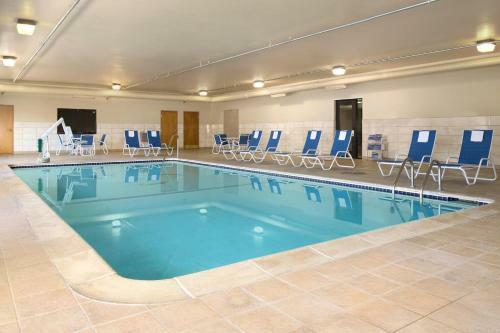 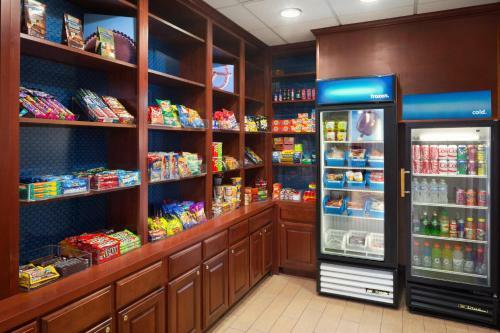 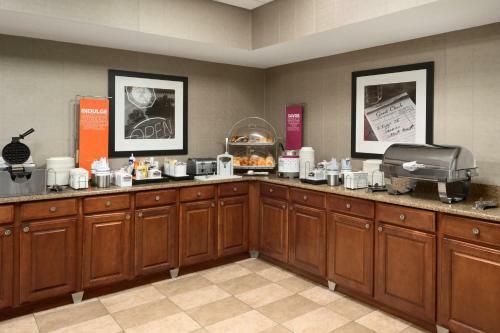 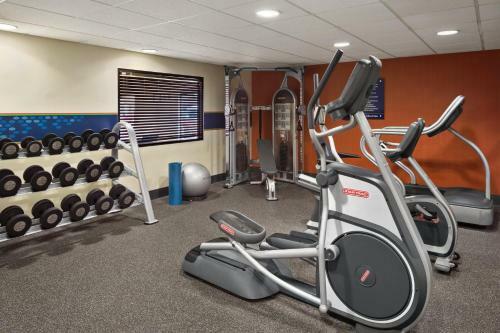 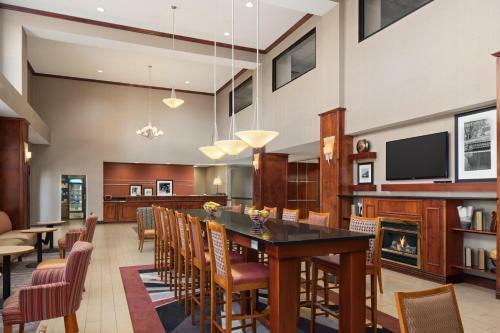 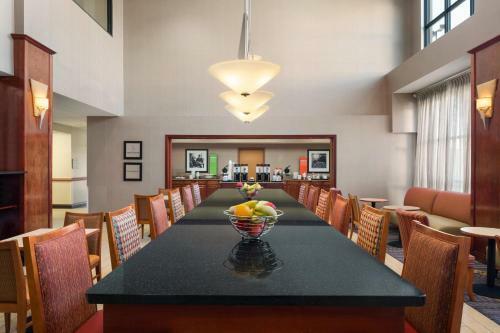 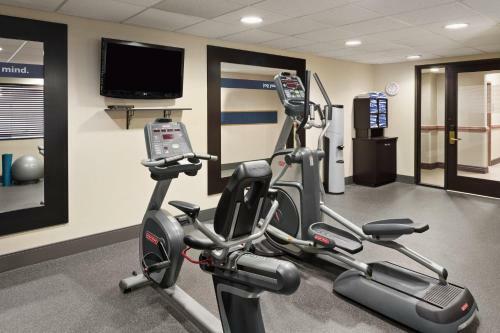 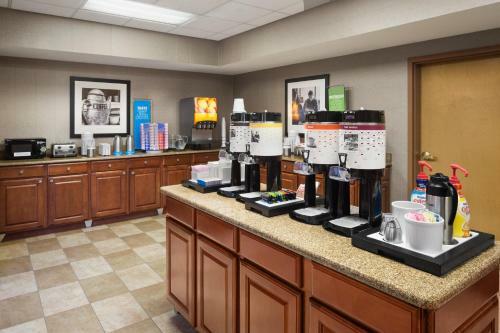 With a free hot breakfast, free high-speed internet access and an indoor swimming pool, every stay at the Detroit Sterling Heights Hampton Inn is sure to be pleasant. 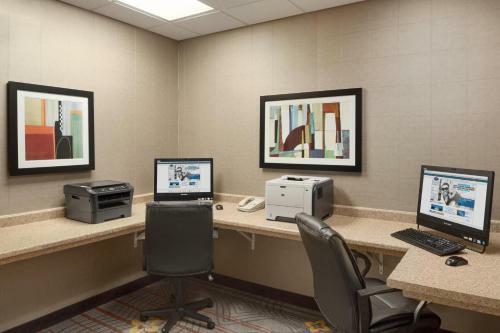 Modern business facilities are also available on-site. 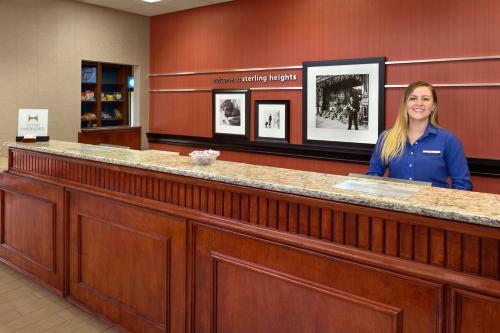 the hotel Hampton Inn & Suites Detroit Sterling Heights so we can give you detailed rates for the rooms in the desired period.